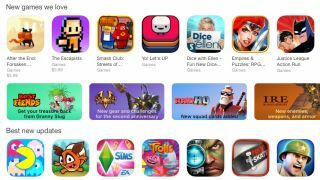 There are more than two million mobile apps available on the App Store right now (and that number is rising rapidly as you’re reading this), according to Statista – and a whopping 23% of those are games. Not only are gaming apps the most popular category, they're also the apps people spend the most time using. Figures suggest users spend an average of 7.55 minutes in a gaming app session, which (unsurprisingly) makes it the most profitable app category out there. But while big-name games and world-renowned studios are responsible for lots of these sales, like Sniper Hitman, Monopoly and Minecraft, there have been some breakthrough hits from indie developers and smaller companies over the years – Monument Valley and Alto's Adventure are two that spring to mind – that prove you don’t necessarily need a wealth of experience, a big budget or a global team to make your iPhone game a reality – just a good idea and truckloads of enthusiasm. TechRadar talked to some inspiring people working in the iPhone gaming industry who took small ideas and turned them into big successes. So read on to learn a bit more about how an iPhone game is created, and how you can turn your dreams into downloads. Chris Thomas is the developer behind Fuzzy Face Studio and created the virtual pet game Tweechi, bringing together a team of four enthusiasts who built the game during evenings and weekends while also holding down full time jobs. We chatted to Thomas about how Fuzzy Face came about. “The team is comprised of friends I went to college with or who I worked with in previous jobs, all of whom I knew were passionate about games and brought specific skills to the table – art, animation and coding knowledge,” he explained. His top tips for getting started once you’ve assembled your team are to stick to a plan – which he admits can be challenging when everyone has other commitments, too. “Developing games as part of a small team means you have everyone suggesting ideas and it’s easy to get carried away and continue to add features to the project which pushes your release date further and further out,” he explains. Mark Horneff, the managing director of Kuato Studios, which is behind big games like Dino Tales and Noddy Toyland Detective, agreed that the key is in the planning, whether you’re a one-man band or have a group of mates at your side. Rob Allison is a developer and co-founder of Laser Dog Games, a two-man independent studio behind games like Don’t Grind, ALONE and PKTBALL (which made Apple’s top 10 games for 2016 list). He tells us that one of the first things to think about when you’re dreaming up an iPhone game is to consider what sets it apart from the rest. Allison suggests stripping the process back to basics, and asking the question 'how will the game and controls work?' before thinking about more about design elements and the 'user journey'. When it comes to equipment, it can be really tempting to shell out for expensive new kit. But, other than a Mac and a lot of enthusiasm, you probably don’t need that much.